Hi, my name is Becky, and I’m addicted to avocados. If we have fewer than three in the house, I feel an overwhelming urge to immediately rush to the store to replenish our stash. Always keeping a handful of avocados around is great for quick snack and meal-making, but it can also mean a lot of wasted food. Avocados ripen at light speed and seem to go from rock hard to a mushy mess overnight. This is how I keep up with my avocado addiction without letting those avos rot. 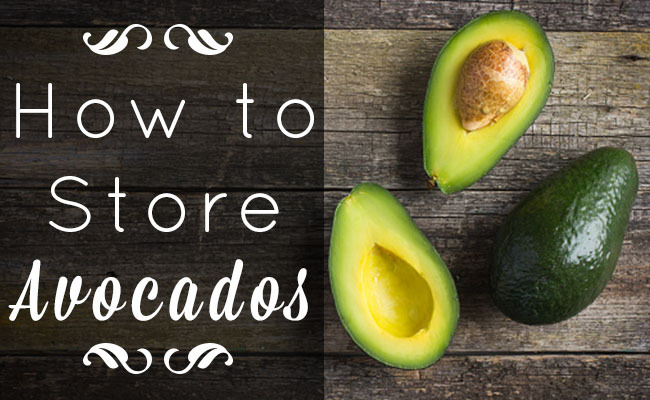 With a little TLC, you can buy lots of avocados at once and actually eat all of them before they rot. I buy up to six at a time, and the tricks below work like a charm to ripen without letting them get rotten. My first secret to buying many avocados at once without losing them to the mush is to buy only unripe or perfectly ripe avocados. A ripe avocado is still pretty firm, but if you press with your fingers, they will make a slight impression. It will be similar to holding a ripe peach or mango. If it feels softer than that, you can still eat it, but you want to use it right away, and you may need to cut off some brown parts to get at the goods. If you have to choose between unripe and slightly-too-soft avocados, always choose unripe. This is where the real trick to avocados comes in. When they’re hard as rocks, keep them out in a dark corner of the kitchen. I store ours in the same wire bowl as our potatoes, onions and garlic. A wire fruit bowl is perfect for storing unripe avocados, because it lets air circulate all around. If you’re storing in a solid bowl, you’ll want to turn them once a day, so they don’t get a soft spot. 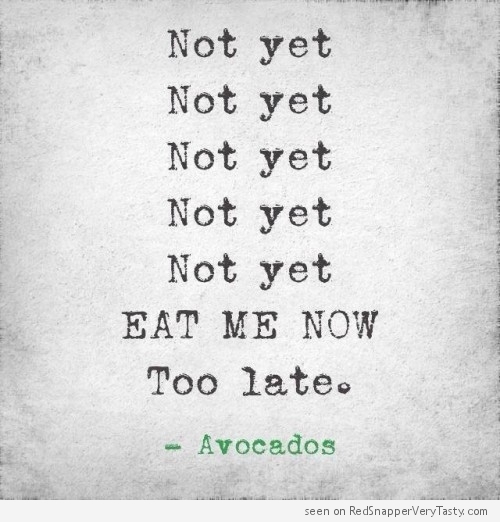 You’ll need to check on your avocados once a day. I check on ours in the morning while the coffee brews. Once they reach that perfectly ripe, tender phase, move them to the produce drawer in your fridge. This slows the ripening to a crawl and you can buy yourself up to a full week by making this move. If the fridge keeps them from rotting, why not just put them there in the first place? They will take forever to soften in there, and I’ve noticed that refrigerating before you pull them out to ripen messes with the texture, making it a little bit stringy. The only problem with buying underripe avocados is that sometimes you want to eat them before they have time to naturally soften up. You can speed up this process with a simple trick. Lucie at Win-Win Food explains that you can ripen avocados (and other fruits!) just by sticking them into a plastic bag with some apples or bananas. She gives more detail—including the science behind this trick—over at her site. I know: this might sound like a lot of work just for avocados, but really it’s just about forming a habit. Buy them hard, let them ripen on the counter, then stick them in the fridge. Once you get into the swing of checking on the little guys, it becomes second nature. I don't really like avocados. I've been thinking about trying them again because they are so good for you. Love avocados. Try to eat it daily. Never knew they could be refrigerated when ripe according to the above article. Will try this new advice in the next few days. Thanks so much fellow avocado lover. I tried to develop a taste for avocados, because they are so good for you. I failed. To me they are almost tasteless. I gave a piece to my daughter and she loves them. I also have two or three around all the time. Love avos. I find the best way to ripen them is to put them is a brown paper bag, not plastic, with a banana.